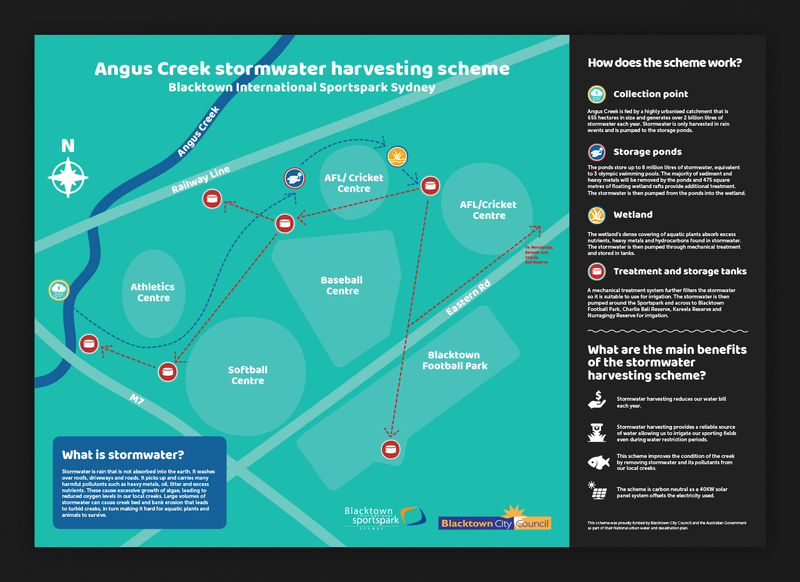 Blacktown City Council developed a new stormwater harvesting scheme at Angus Creek to address the irrigation needs of Blacktown International Sportspark. 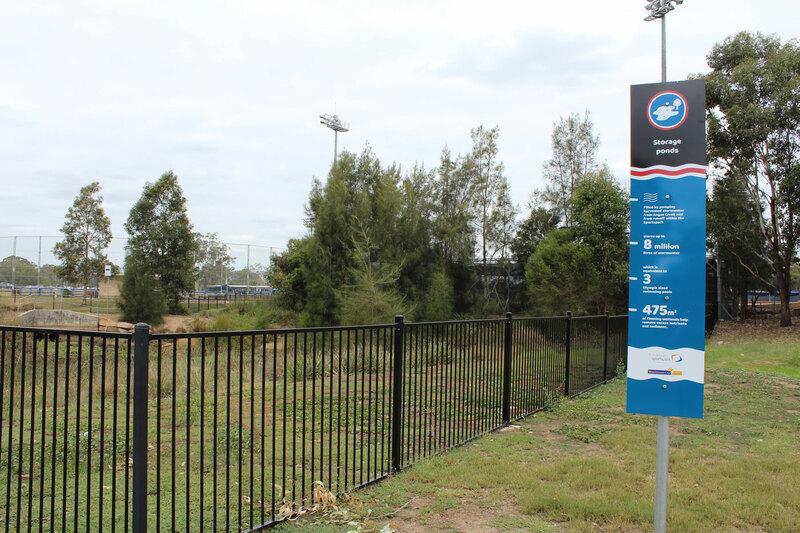 The scheme helps by diverting peak flows from Angus Creek and collecting stormwater generated from hard surfaces such as the Sportspark stadium roof and surrounding car parks. 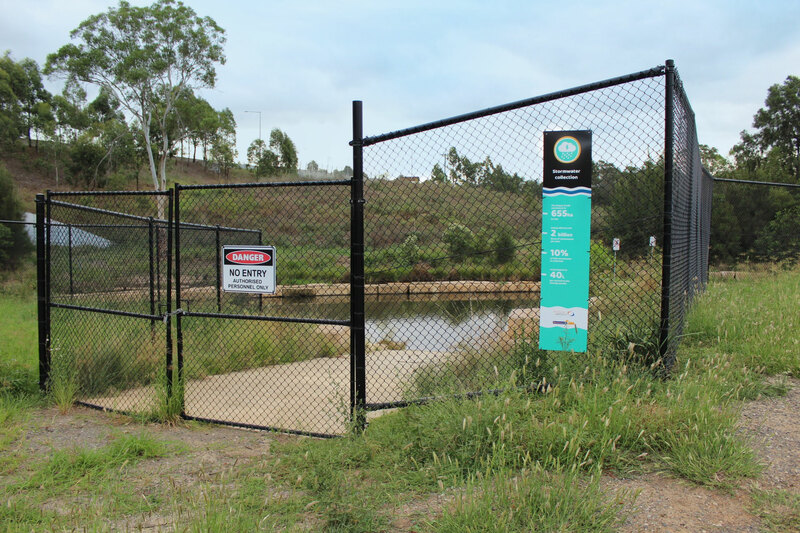 The water can then be used to irrigate the Sportspark and neighbouring Anne Aquilina, Kareela and Charlie Bali reserves. 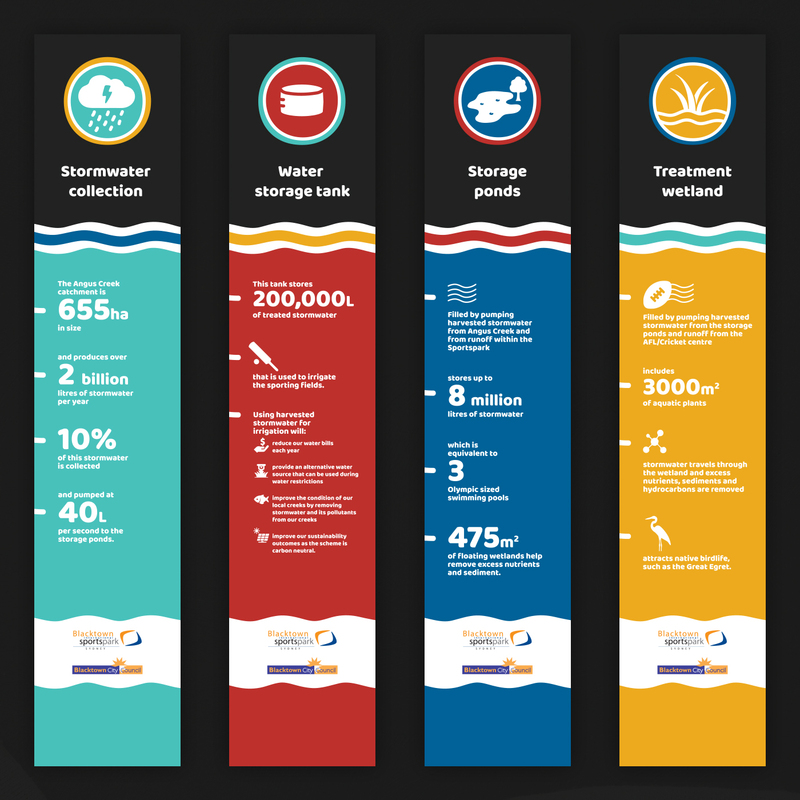 The benefits of the scheme includes saving money, being a use of resources while saving water, improving the conditions of the creek and is carbon neutral. 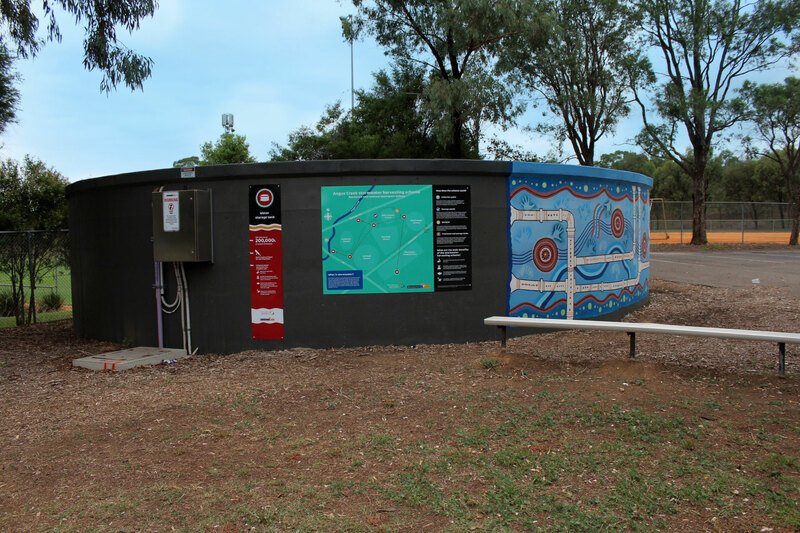 The council wanted to educate the community of the benefits of the scheme through signage strategically placed in the heart of reserve. 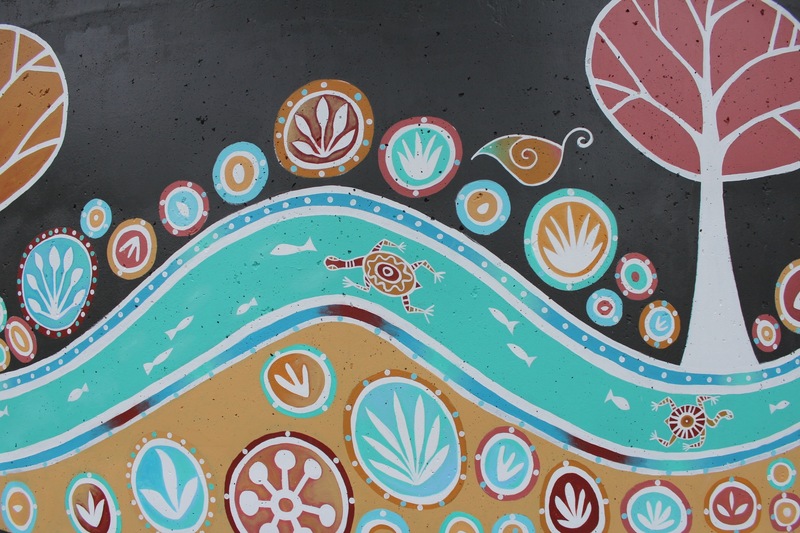 The council had already commissioned local artists to paint large Indigenous murals on the new storage tanks. Their artwork were used as inspiration for the signage. We copied the colour palette and designed organic icons to complement the mural. 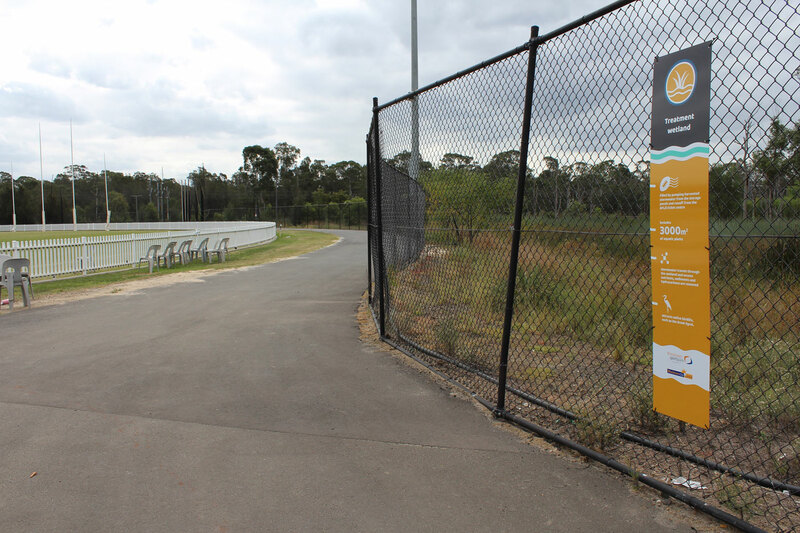 The parks covers a huge area which includes 2 Cricket/AFL fields, a baseball field and athletics stadium. 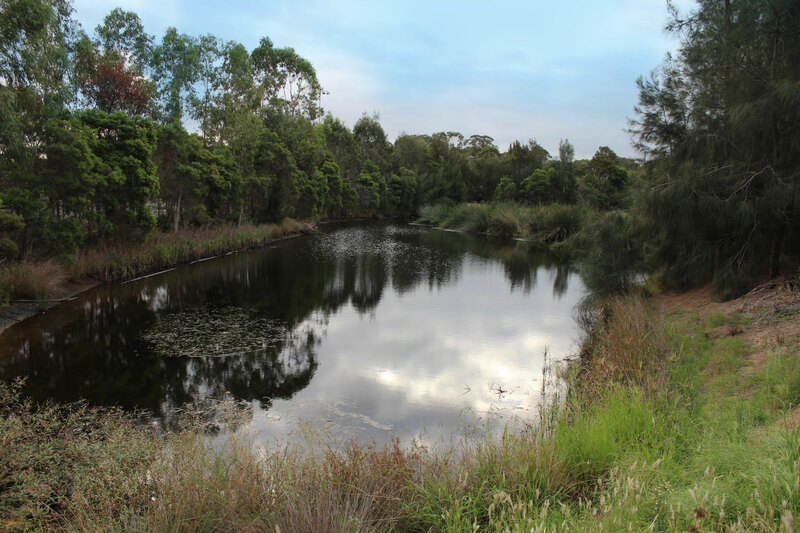 Angus Creek and bodies of water such as this stormwater pond runs through the park. 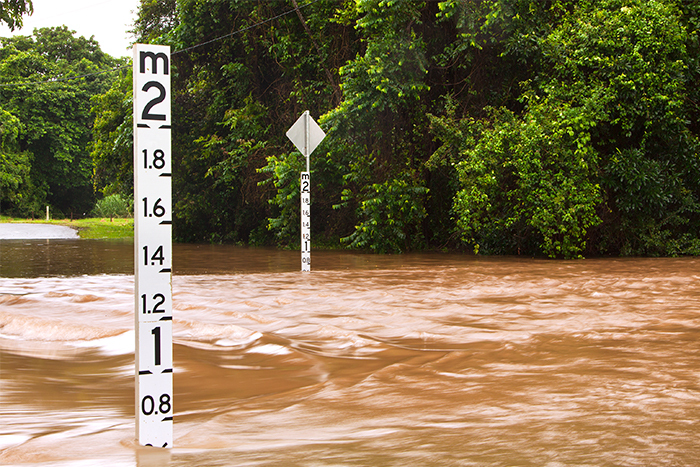 I used the idea of flood signs which measure water levels as the basis of the place-making signs with indicators for the statistics.